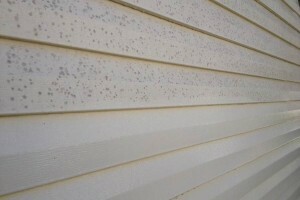 Most homeowners don’t realize that power-washing siding, vinyl or other material, won’t remove the deep down dirt. At Renew Crew Springfield, MO, we use a 3-step process which loosens and lifts the dirt from all siding, including vinyl, Hardie, stucco, brick, and wood. One of the dangers of power washing is that the pressure can be set too high, which can leave gouges in the surface. This can also damage the nearby greenery. Renew Crew’s unique 3-step process eliminates the need for such force. First, there is foam applied that loosens the dirt. Second, there is a gentle power washing. As a result, the siding will get clean and the landscape won’t be damaged. Last, we finish with a polymer sealant. This polymer sealant will protect the surface against dirt and the elements. The siding will have texture and luster and, if it’s wood, the sealant will enhance the grain. As an added advantage, the sealant stops will keep dirt from settling in, which means that long periods of time will pass between the cleanings. Renew Crew is proud to offer high quality services for affordable prices. One of the important things to know about the cleaning products we use is that they are eco-friendly. Unlike the caustic acids, chlorines, damaging pressure levels, and other systems and chemicals, our methods won’t damage the landscape. Your pets and children will be safe around our cleaning products and they won’t bleach wood. Pressure washing is a mixture of art and science. Art comes from our service while science comes from our special cleaning and sealing products. Power washing, done the right way, will make your Springfield, MO, home stand out. Call Renew Crew and get a free estimate, then rest easy in our 100% satisfaction guarantee.